Elegant summer chino for men. Classical inside workmanship, with pleats on front and the backside legs. Straight fitted leg. Boat logo embroidery at the backside. Marinepool leather logo badge on backside waistband. 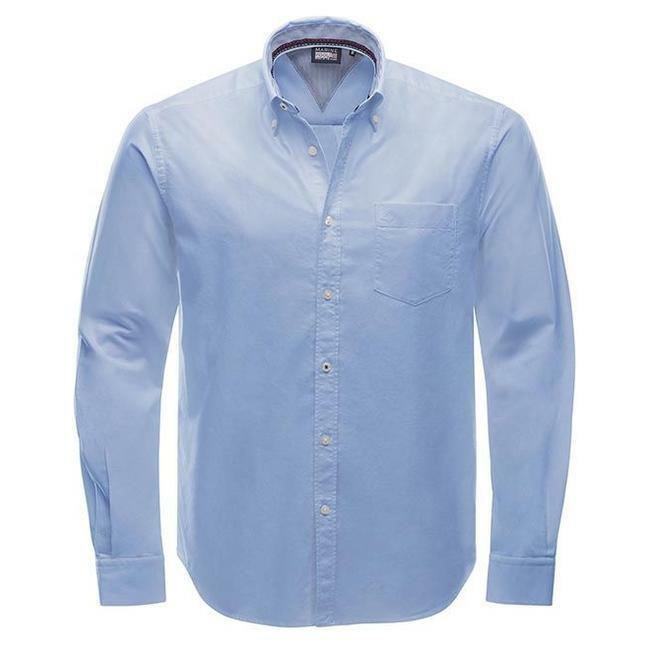 100% Cotton Twill Read more.. Elegant summer chino for men. Classical inside workmanship, with pleats on front and the backside legs. Straight fitted leg. Boat logo embroidery at the backside. Marinepool leather logo badge on backside waistband. Marinepool fashionable Edition belt out of elastic cord stri..